In 2016, Roxanne Hamm-Vaden joined London Witte & Company, LLP. As a staff accountant at the firm, Roxanne mostly serves clients in the insurance sales, health care, realty, restaurant, financing and manufacturing industries. 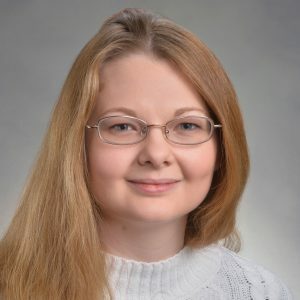 She received an Associate of Science in accounting from Sullivan University and a Bachelor of Science in accounting from the Kelly School of Business at Indiana University-Purdue University Indianapolis. Roxanne volunteers for the Interfaith Hospitality Network and helps to raise money for the CROP Hunger Walk. She is from Indianapolis and is making the city her home. She enjoys baking and making pastries as well as solving puzzles. London Witte is a leading certified public accounting and consulting firm dedicated to helping clients maximize their full potential. Copyright © 2016 London Witte & Company, LLP. Theme by Brandrenew PR.